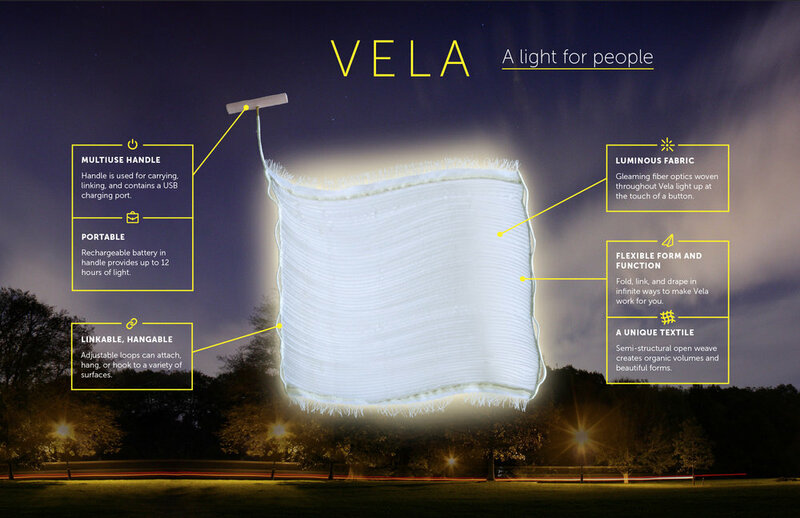 What if a light had the qualities of textiles? It is a beautiful Sunday in June and a family decides to spend the afternoon at the park. They gather their magazines, their Bluetooth speaker, and snacks and bundle it all up in a picnic blanket. They arrive at the park, spread out their blanket and settle in. As the sun rises in the sky, they tie the blanket to a branch above them to provide some shade. Friends arrive and although the light is starting to fade, they’re having too much fun to go home. So they reach up, turn the blanket on and it illuminates the group with a warm glow; the blanket is also a lamp. 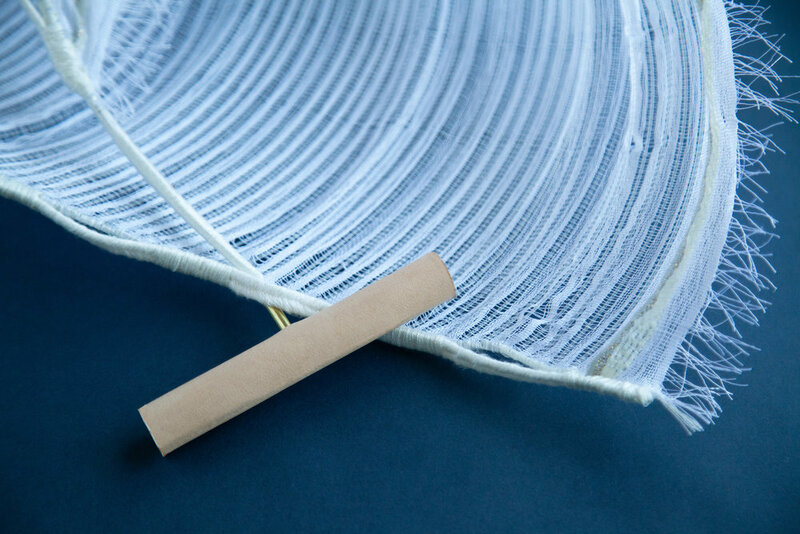 What if a light could be as flexible and versatile as textiles? There is a rich cultural history of people using a humble swath of fabric in myriad clever ways to bundle, protect and comfort. From the beautiful and practical Japanese furoshiki, to silk scarves that show off a woman’s personal style and class, small swaths of fabric are simultaneously practical and symbols of identity. Whether you’re tying up your 2pm prescription pill in the corner of a dhoti or using a pale-yellow bandana in your right jeans pocket to figure out who you want to hook up with that night. But unlike a bandana, most lights are singular in function and stuck in one place. Outdoor lights tend to be designed for cars, which means they don’t meet the varied needs of people. Because emotional responses to light are the culmination of our personal history and experiences, emotional responses can also be contradictory and shifting. What comforts us one day may be the cause of anxiety later in life. This is succinctly summarized by a friend who lamented that her dark back yard used to provide her with a sense of calm and connection to nature. Once her home was burglarized, that same dark yard suddenly made her feel anxious. How can outdoor lighting be more adaptive to a spectrum of complex and shifting emotional responses? Could lighting better address these needs if it were as ephemeral as light itself? Could a light fixture be soft and tactile and function like a gleaming second skin? What if technology were more organic and could move information the way our body does? Vela is the constellation named for the sail on the Argonaut’s ship. Like its namesake, the Vela Light is a luminescent billowing form. It is a luminaire created as a gleaming length of fabric that provides the user with opportunities to personalize the light by adjusting the form, light levels and function to their individual needs. 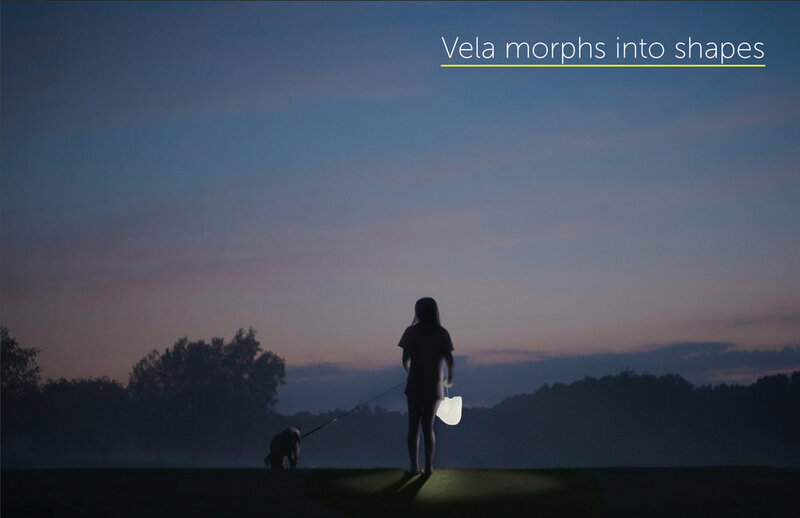 The Vela Light is re-chargeable with a micro-USB, providing twelve hours of portable light. A toggled handle and loops allow the light to be draped or clipped on your body, bike, child, or dog. Folding and rolling the fabric in various way changes its brightness, intention and feeling. It can be gathered into a voluminous lantern, worn, linked together as an environmental installation, or laid flat on a table top. High potency fiber optics transfer light throughout the material. To maximize light evenly throughout the fabric, fiber optic filaments must be installed with minimal bends. The anatomical drawings of Santiago Ramón y Cajal illustrate how neurons transmit information through the brain. This is where I found the inspiration to weave fiber optics through the fabric in a way that allows the filaments to be illuminated at both ends while minimizing the bends of traditional weaving. Fiber optic filaments originate at the light source in the handle and are woven through one row of weft threads. They then skip several inches of weaving before being woven back through the fabric and returning to the light source, providing light at both ends of each strand. High potency fiber optics transfer light throughout the material. Because their power is diminished when bent, I needed to devise a weaving method that eliminated the zigging and zagging required of traditional weaving. Inspiration was found in the anatomical drawings of Santiago Ramón y Cajal that illustrate how neurons transmit information through the brain. Fiber optic filaments originate at the light source in the handle and are woven through one row of weft threads. They then skip several inches of weaving before being woven back through the fabric and returning to the light source, providing light at both ends of each strand. This combination of the technique and the structural qualities of the fiber optics is what allows Vela to create such unique roomy volumes, lacey surface qualities and vibrant light. Future steps for this design include experiments with denser weaves, more reflective threads and greater fiber optic control. There is no restriction to the size of this light—it can be made as large as an airplane hangar or a mobile Red Cross tent and as small as your grandfather’s handkerchief. In addition to creating personal light fixtures better suited to our emotional needs, these developments could provide light where it is inconvenient or unsafe for it to exist otherwise in a wide spectrum of applications.